Boston is well known for its' many prominent historical attractions, including the famous Freedom Trail. Along this historical landmark, you will find Boston's charming North End Neighborhood, known for its' abundance of authentic, local Italian restaurants. One of the most popular and delicious options is Giacomo's. In fact, the restaurant is so popular that a waiting line often begins to form well in advance of dinner. Oftentimes, a restaurant's popularity goes hand in hand with the quality of service and quality of food. In Giacomo's case, this definitely rings true. Giacomo's offers a wonderful menu of Italian favorites and individual specialties. The Pumpkin Tortellini is one of the best dishes you will ever experience. What a perfect warm treat during the cool fall season! Fortunately, they serve this dish the entire year, so no matter when your visit falls you can treat yourself to this creamy masterpiece! And how could you visit Boston without trying a wonderful Lobster based entree? Giacomo's signature Lobster Ravioli is a unique treat, one that any seafood lover will approve. Other dinner specialties include: Butternut Squash Ravioli with mascarpone cream, Chicken or Veal Marsala, and Pan Roasted Cod Loin. A full wine selection is available to complement your meal. Service is wonderful and accommodating. Substitutions can be made with no problem. Fortunately, the crowded atmosphere does not transfer over into the service department. 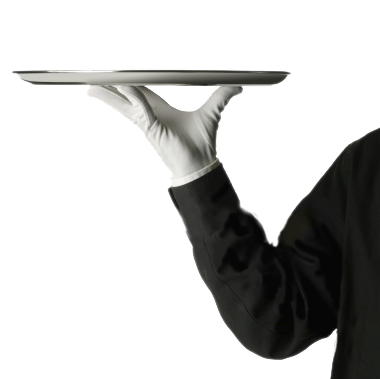 Waiters are professional and friendly, never rushing anyone. There are 2 locations to choose from, both on the Northern and Southern End. Try out the Boston Common location for a less crowded atmosphere. There is often no wait on less crowded weekdays. You also get the advantage of being within close proximity to Boston Common. Take a refreshing walk before your meal. The setting is a bit crowded and noisy, nevertheless, it still maintains a charming, local feel. A visit to Boston would not be complete without treating yourself to a wonderful meal at one of the city's many North End Italian restaurants. Giacomo's is worthy of a spot on your itinerary for the 2 dishes mentioned above alone. Enjoy a one of a kind meal in a wonderful city. There are so many fantastic things to do both before and after your meal. What better setting could you ask for? Round out your perfect day in this fantastic city with a fabulous meal at Giacomo's.